Brinjal is favorite veggie in my home and we can eat it in any form..Brinjal Peanut Curry is a regular at my home. This recipe is how I make . Its very easy to make and very tasty to eat. 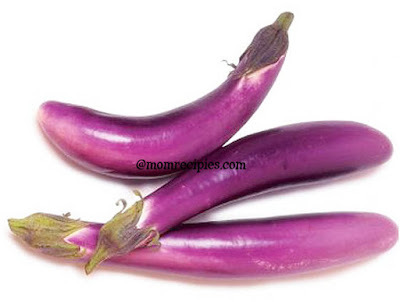 1) First wash and dice the brinjals and put them in salt water so that the color will not change. Keep it aside. 2) Dry roast the groundnuts in a pan .After it cools down ground them to a coarse powder in a mixer.Keep it aside. 3) In mixier add chillies,garlic, ginger and pulse to a coarse paste. 4) Heat a pan or kadai with oil; add the chopped onions , few curry leaves and saute till onions turns soft and pink in color. 5) Add chilli ginger garlic paste and saute it for a minute. Reduce the flame to low, add turmeric powder and saute for a minute. 6) Add the chopped brinjals and mix well. Increase the flame to medium and add couple handful of water or required water.Close the pan with a lid and allow the brinjals to cook for few minutes stirring often..
7) Then add red chilli powder,coriander powder ,garam masala powder ,salt and sugar.Mix well. 8) Finally add peanut powder and mix well and cook for 3-4 minutes. 9) Garnish with coriander leaves and serve with roti , phulkas, Chapatis, Bhakari etc.